The Texas State Bar Journal Refuses To Publish My Ad, signaling fbi control over all ads placed in the Bar Journal. “Geral Sosbee, wirtness to the macabre culture and unlawful practice of the FBI. A musician I know was inspired last year at a Mayday picnic to collect, write, and publish folk songs for the public domain, because it is not legal to play many songs under copyright protection at public gatherings, and telling stories through music is really important! Time to give Texas the boot. Will The Recession Force Police To Shift To Forfeiting Intangible Assets? The U.S. Patriot Actâ€™s mention of â€œCommerceâ€ permits U.S. federal agencies to read with little or no probable cause, business and other electronic communications. Read more about Will The Recession Force Police To Shift To Forfeiting Intangible Assets? Has China's ongoing reform altered the nation's political-economic landscape as far as government corruption is concerned? What is the next if this corruption goes deeper? Get on-ground investigations and analysis by leading Chinese scholars and journalists. Wendy Painting along with 2 other peaceful activists (anti-war &amp;9/11 Truth) have been arrested for trespassing. Wendy is the only person who had her camera confiscated after being asked who else in the crowd was taking pictures. Wendy was given a warning not to take any more pictures. She didnâ€™t. They arrested her anyways while she was eating a salad outside of a pizza shop. Because Wendy and the other activists would not identify who took pictures and where, they were arrested. 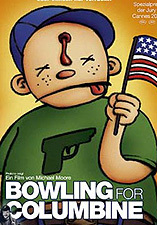 In light of the tragedy at Virginia Tech, Rochester Indymedia's April After-Mass screening will be an abridged version of "Bowling for Columbine."